Bottomless Brunching has become serious business in recent years. At Mac & Wild we take it very seriously! Treat a buddy or loved one to the ultimate weekend indulgence. Gift a stress free voucher entitling them to Brunch plus unlimited Brunch Cocktails or Prosecco. Check out our instagram grid for visual temptation. Menus include our signature Brunch goodies such as Full Scottish Breakfast, Dirty Breakfast Bap, the award wining Veni-Moo Burger and Venison Scotch Egg. 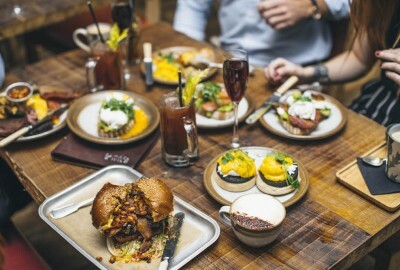 Bottomless Brunch vouchers entitle diners to one Brunch dish plus unlimited Brunch Cocktails or Prosecco over a 2 hour time period. Excludes mains and Butcher Cuts.